It looks as though Frankie hasn't had a chance to add anything to the queue yet. Ok, this wasn't great. But it was so weird, funny and disturbing that I really liked it. I dreamt about it the night after I watched it. Very good, stays in your mind for a while. Not LOTR and not the book, ok, but I freaking loved it anyway. PJ did it again. Amazing. 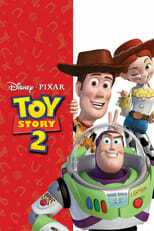 The Toy Story Trilogy is my all time favorite animation movie. LOVE THIS! I watch this at least a couple times every december. Super fun. It's so sweet and clever and good... and Hugh Grant here is just so... AAAH! A lot better than I first thought it would be. Great performance by J. Lawrence. A film that stayed in my mind since I first saw it. BEST MOVIE EVER! Brilliant! Incredibly funny! It's my all time favorite.